I am hiring motivated PhD students interested in building secure next-generation cyber-physical systems. Aanjhan is an Assistant Professor in the Khoury College of Computer Sciences at Northeastern University in Boston, USA, since January 2018. He is interested in building secure autonomous cyber-physical systems. He has worked on a wide variety of topics including physical-layer security of wireless systems, secure localization and proximity verification, trusted computing architectures, and side-channels. He is a recipient of several awards including the outstanding dissertation award from ETH Zurich, regional winner of European Space Agency’s Satellite Navigation competition and the Cyber Award from Armasuisse (Switzerland’s Department of Defense). Prior to joining Northeastern, he was a senior researcher in the System Security group at ETH Zurich and has over 3 years of industry research experience as a senior engineer at Robert Bosch GmbH’s Car Multimedia Division “Blaupunkt” where he was involved in the development of embedded modules for top automotive manufacturers including Audi and Volkswagen. He holds an M.Sc with specialization in Electronics and Microelectronics from EPFL, Switzerland and a Ph.D in Computer Science from ETH Zurich, Switzerland. Apr 2019: Paper on new side-channel attacks on WPA-TKIP accepted at AsiaCCS 2019. Mar 2019: Paper on wireless attacks on aircraft instrument landing systems accepted at Usenix Security 2019. Mar 2019: Invited to serve on the program committee of Usenix Security 2020. Feb 2019: Awarded the NSF CRII grant to build next-gen secure localization technologies. Jan 2019: Paper on the security of GPS/INS based road navigation systems accepted at IEEE S&P 2019. 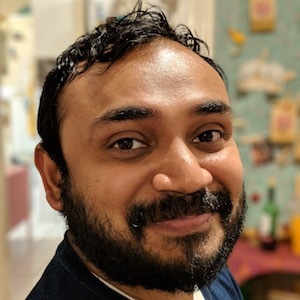 Jan 2019: Harshad Sathaye joins the group as a PhD student. Welcome, Harshad! Sep 2018: Domien Schepers joins the group as a PhD student. Welcome, Domien! Apr 2018: Paper on information leakage in low-power wide area networks (conditionally) accepted at ACM WiSec 2018!